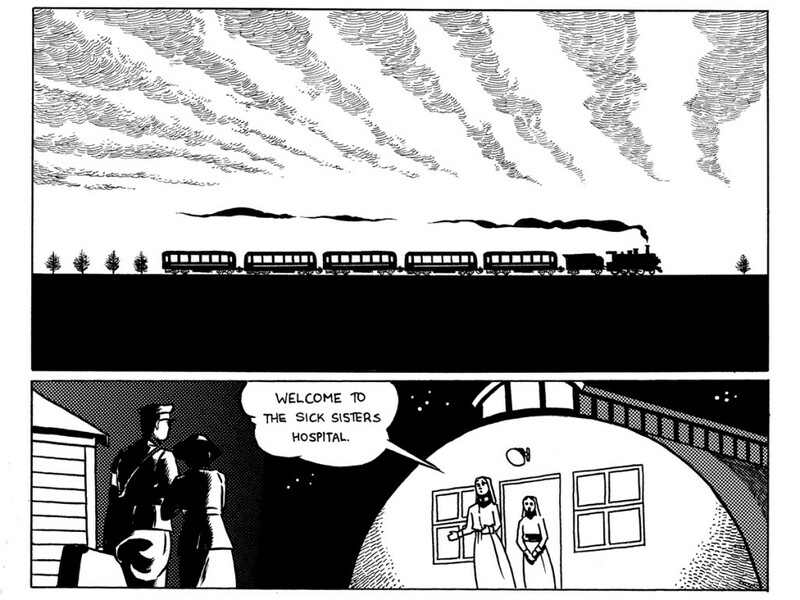 The Invisible War is an illustrated science-history graphic novel for young adults set in WWI. 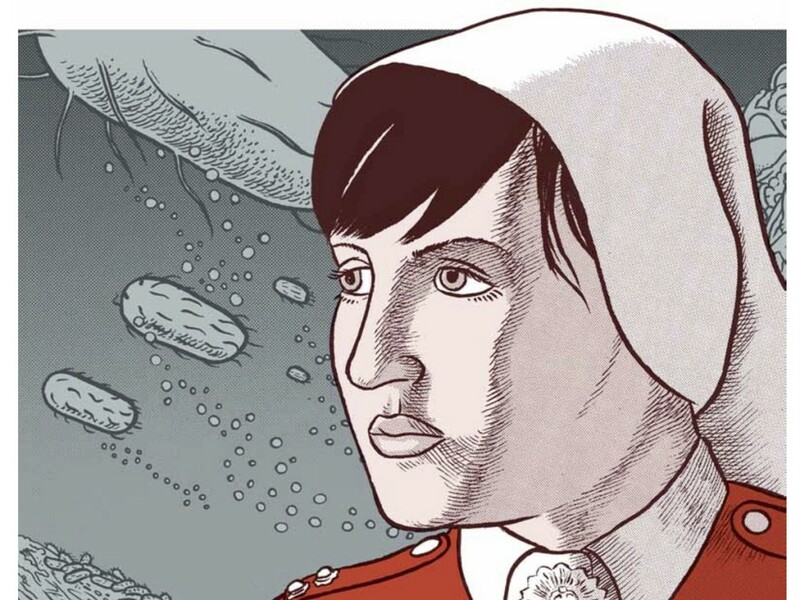 It follows in the footsteps of graphic novels such as Maus, Persepolis and The Terrorist, but with a unique, scientific lens, narrated at both the micro and the human-scale. 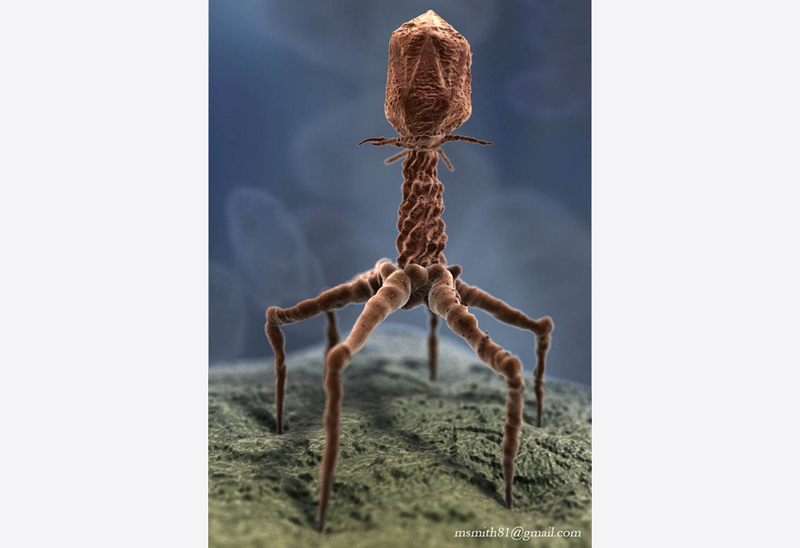 It is about the bacteriophage (bacteria-eating virus) which lives in human mucus and fights dysentery (caused by the Shiga/Shigella bacterium). 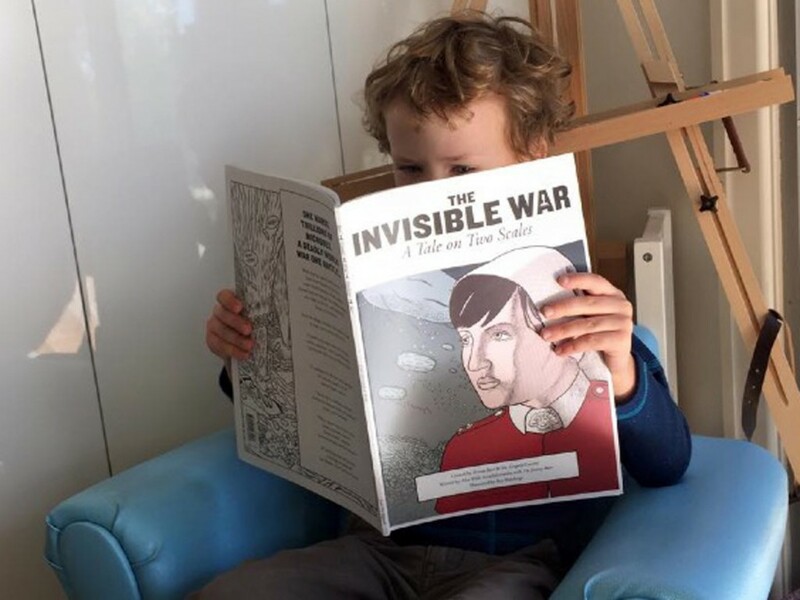 A collaboration between Scale Free Network (Briony Barr & Gregory Crocetti), writer (Ailsa Wild), illustrator (Ben Hutchings) and microbiologist (Jeremy Barr), The Invisible War is the third book in the Small Friends series, but the first to take the form of a graphic novel. 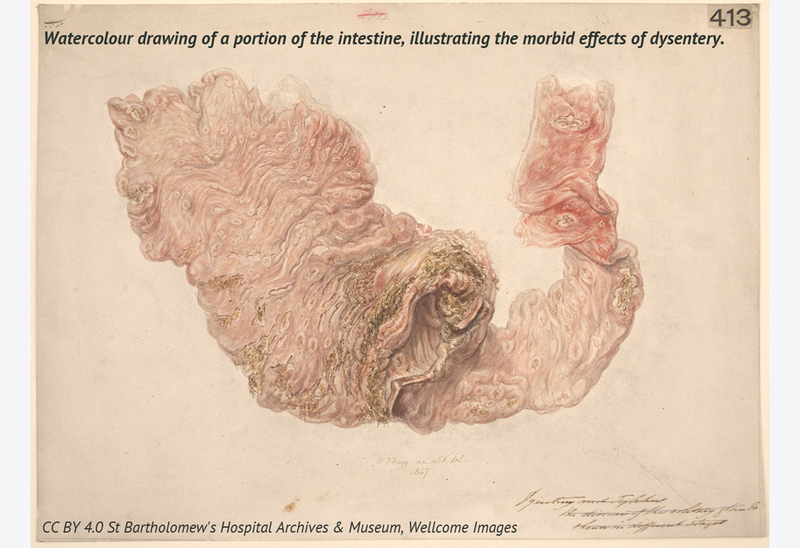 The story takes place on two different physical scales; the macro-scale, from the point of view of a Victorian nurse serving in the trenches of France, and the micro-level, from the point of view of the microbes which fight to keep her body alive when she contracts dysentery. 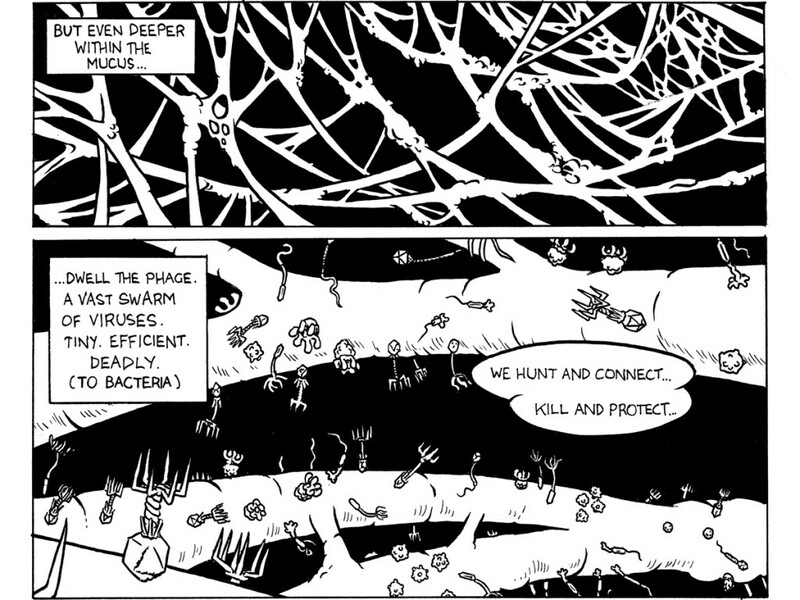 The Invisible War was inspired by very recent discoveries by Australian microbiologist Dr. Jeremy Barr which demonstrate that there is an amazing symbiosis that takes place between us and the bacteriophages. Described widely as a ‘second immune system’, this symbiotic relationship is our first line of defence against infection by disease-causing bacteria. 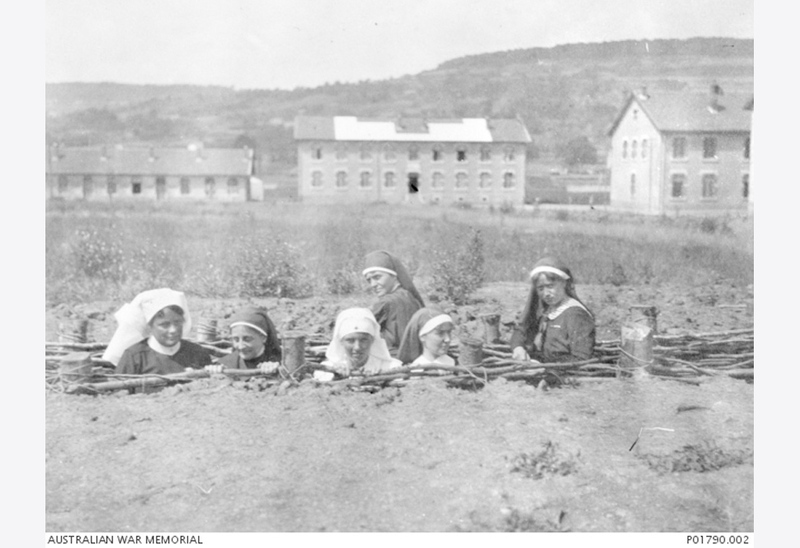 The Invisible War challenges some elements of the ANZAC myth by casting light on the filthy tragedy of war and by using two non-male protagonists, one female and one microbe. At the same time it encourages an appreciation of the extreme physical conditions endured by young men and women in WWI, and for the resilience of communities who work together, both on a micro and macro level. 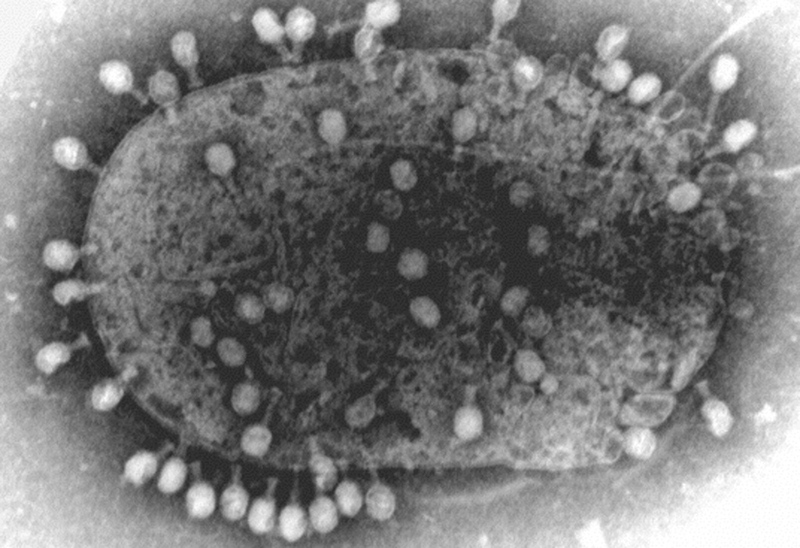 Interestingly – the bacteriophage (bacteria-eating virus) was first described and named in 1916-17 by self-trained microbiologist Félix d’Herelle who took stool samples from some of the thousands of soldiers suffering dysentery in the allied trenches of the Western Front. 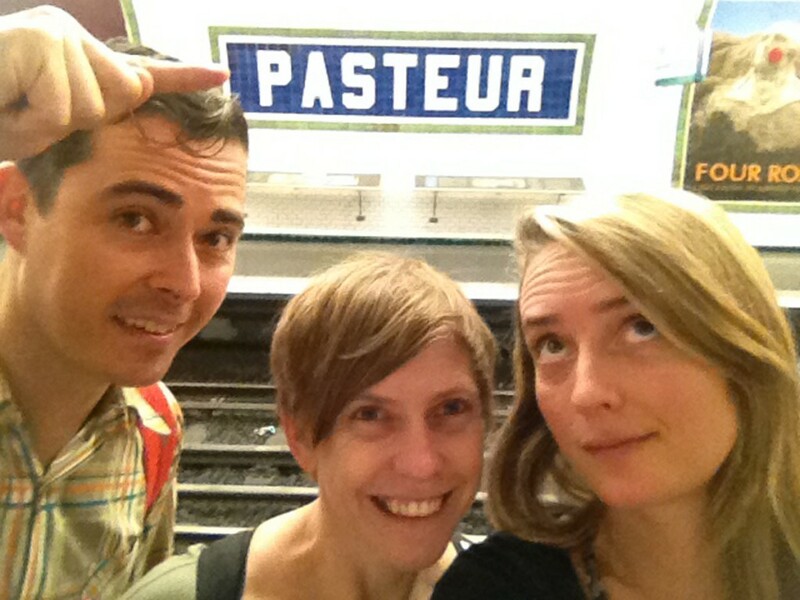 In June 2015, Ailsa, Briony and Gregory travelled to the Western Front (in France) to conduct on-the ground research, including visiting the trenches, medical and war museums and the Institut Pasteur where D’Herelle conducted his early research into bacteriophages! For more information about this project, or to purchase a copy, please visit The Invisible War website.